Strong, sturdy and yet very comfortable. 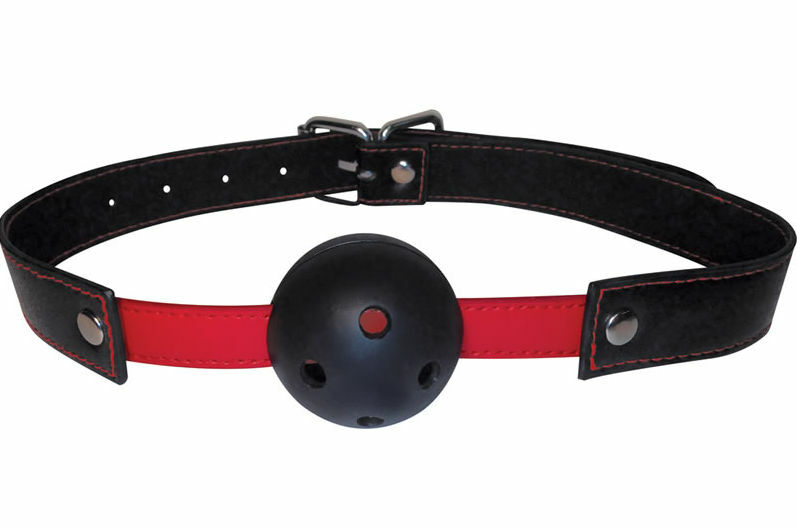 The red stitched fabric strap adjusts with a buckle while the breathable ball is a great size for beginners. 1.75 inch (4.5cm) diameter ball. 1 one- size-fits-most fabric strap.